If skincare were to win class superlatives, sheet masks would certainly be voted "Most Popular," or even "Most Likely to Succeed." They infuse deep hydration into the skin, holding the product in place for the duration of the treatment, pushing the active ingredients in further than a face cream can. You can even get fancy and apply a serum underneath or mask back-to-back with different formulas for added effectiveness. They're the answer to our biggest skin woes, but just when we thought they couldn't get any better or more innovative, boy, have they. 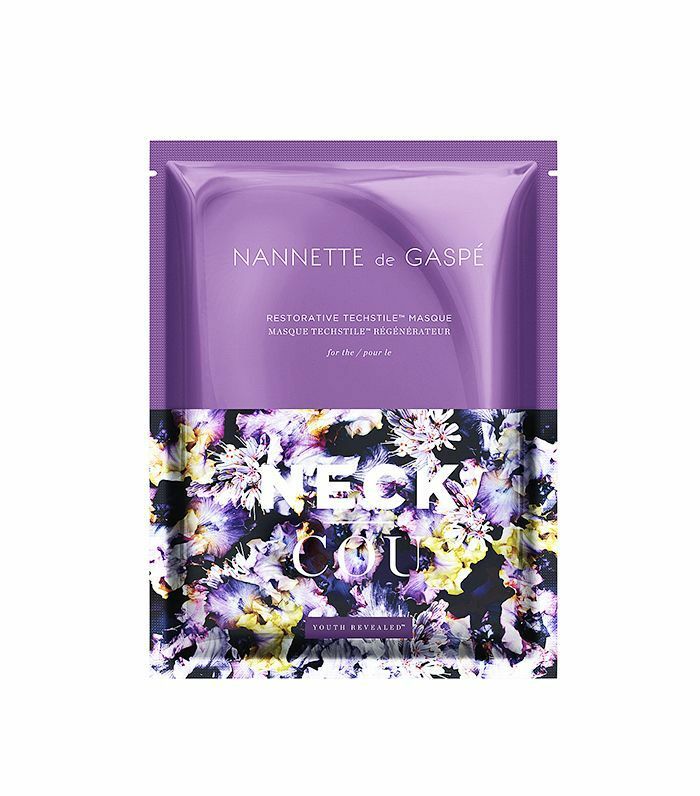 Brands have recently come out with game-changing formulas and technology like knit masks and—gasp!—dry masks that each work in their own respective ways to make skin look dewier, brighter, and more youthful. Keep scrolling to see for yourself! 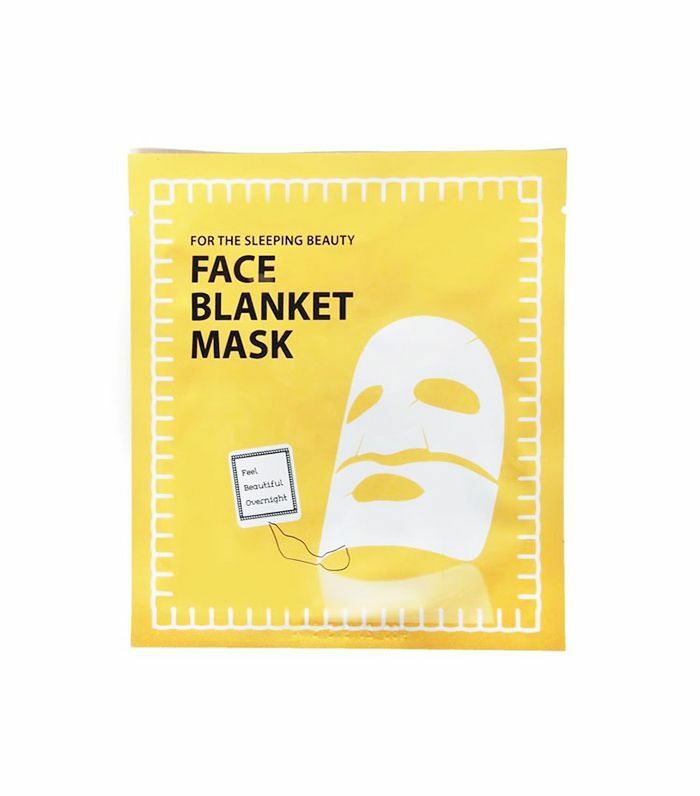 Step aside, sheets—knit masks are coming in hot. The knit pattern, almost like a cable-knit sweater, helps drive ingredients in deeper than a traditional cotton sheet—sort of like how we generate more perspiration in a heavy sweater than a cotton shirt. This particular mask has top, bottom, and neck pieces, as they're heavier than traditional sheet masks, so breaking the mask up into pieces helps it to lay better. 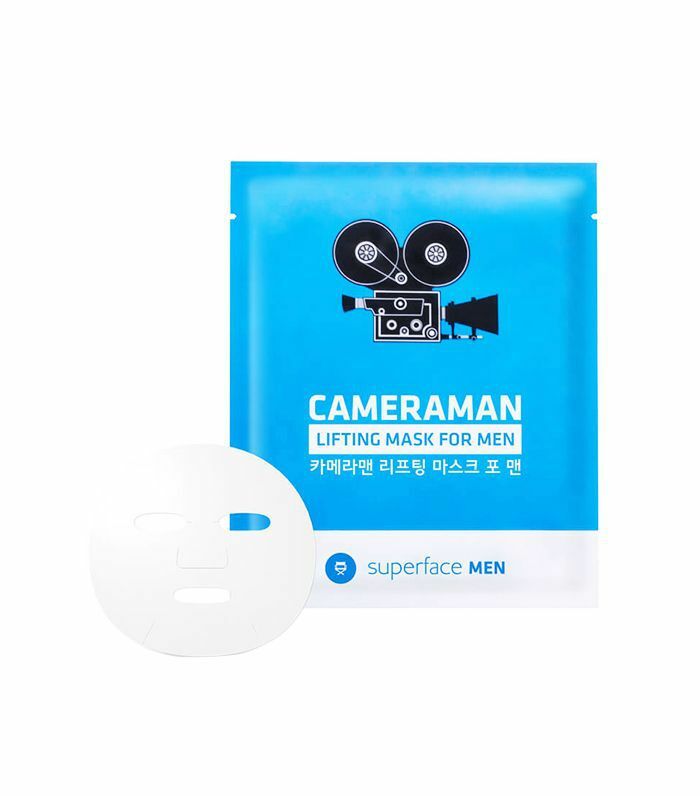 We make our male companions do sheet masks with us anyway, so why not have a mask that's targeted especially for them (heck, they might even be more apt to put one on if it's marketed toward them). Most men have a thicker epidermis and more sebum production than women, so this mask pinpoints those factors, helping to soften and mattify the skin. While technically not a sheet, the experience and effect are essentially the same in that the targeted essence is held in place on the skin for about 15 to 20 minutes before being peeled off. 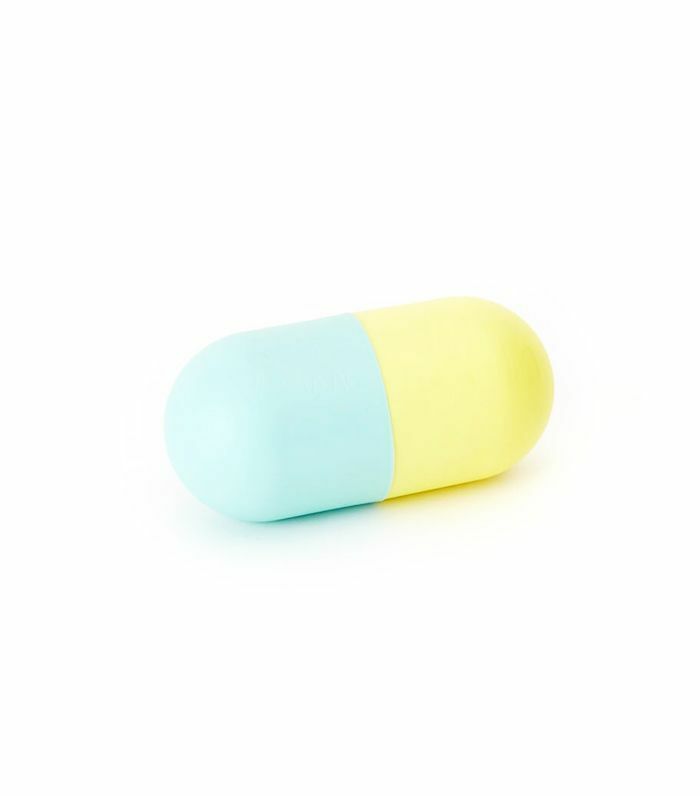 The packaging itself is an Instagram post waiting to happen (how cute is the pill shape?) and the contents are just as 'grammable. Inside is a two-step mix that forms a rubber mask, but unlike formulas you may have tried in the past, the consistency is moister and leaves a dewier finish. Yes, this dry mask is $100, but that's because it uses innovative technology that's unlike any mask you've tried before. That technology is called Biomimetic MicroVector, and it penetrates actives into the skin for up to eight hours after gently massaging the fabric against the skin, and consequently reduces wrinkles by up to 20% in one use. You can use one sheet up to three times, making the blow of spending a $100 a bit more worthwhile. The above mask is the neck variation, but they also come in hand, eyes, face, and mouth versions. 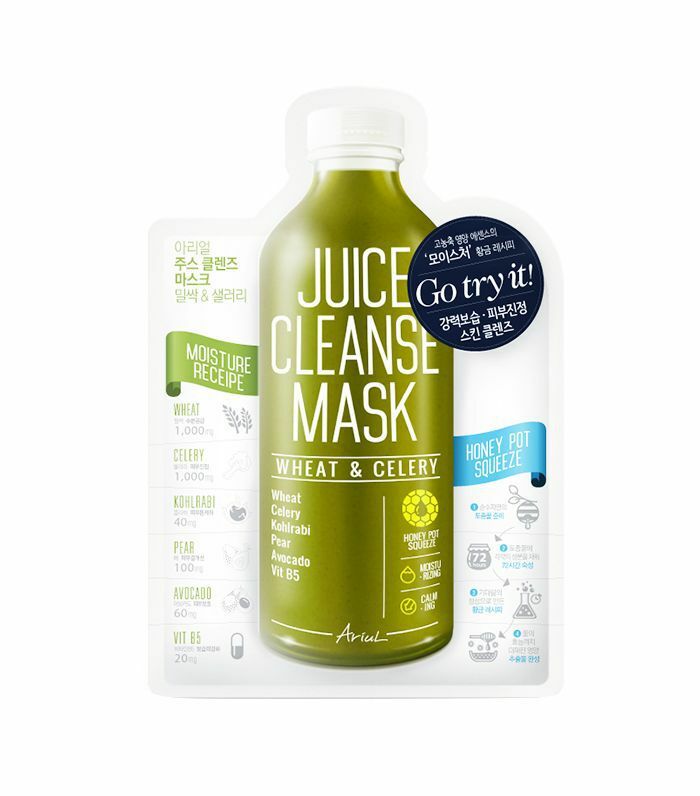 We know that juice cleanses are sugar spikes waiting to happen, so why not apply the idea of cleansing with fruity and veggie goodness in sheet mask version, save the sugar? This mask is chock full of vitamins and nutrients from real produce for bright, healthy skin without any of the adverse side effects. 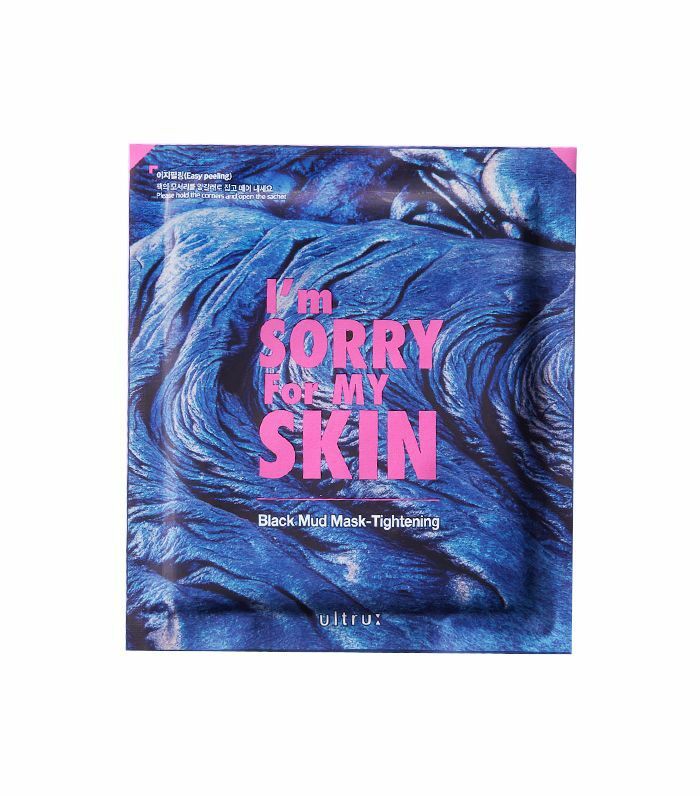 Mud masks can be messy, but this two-ply sheet mask harbors the mud on top of a microfiber layer so that it can still penetrate without causing a mess. It hardens like a regular mud mask, lifting impurities and sebum, but instead of washing it off and getting black murk all over your bathroom sink, you can just peel it off. Which new mask are you going to try? Sound off below!